These guys rocked the joint when they played last year so we have got them back pronto to round out our Aussie Rock month. MIDNIGHT OIL – HOODOO GURUS – CROWDED HOUSE/SPLIT ENZ! 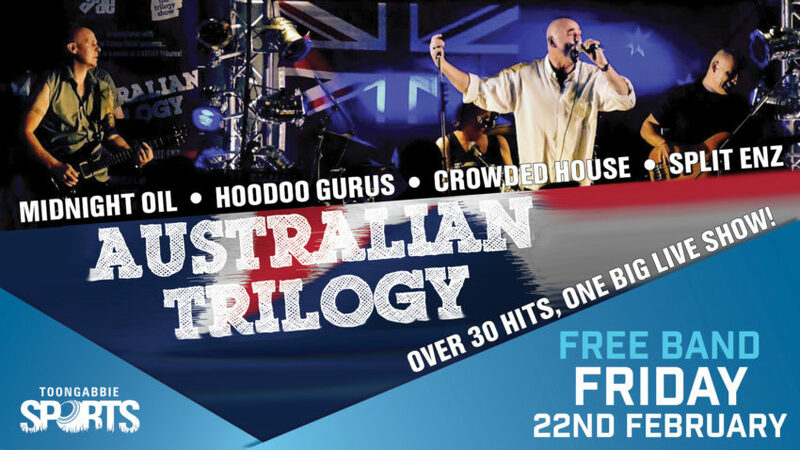 All your favourites songs from 3 great Aussie artists in the one show performed by some of the best musicians & vocalists in Australia.